This statistic shows the number of households in England in 2017, by region. A household is defined as one person living alone, or a group of people (not necessarily related) living at the same address who share cooking facilities and share a living room or sitting room or dining area. 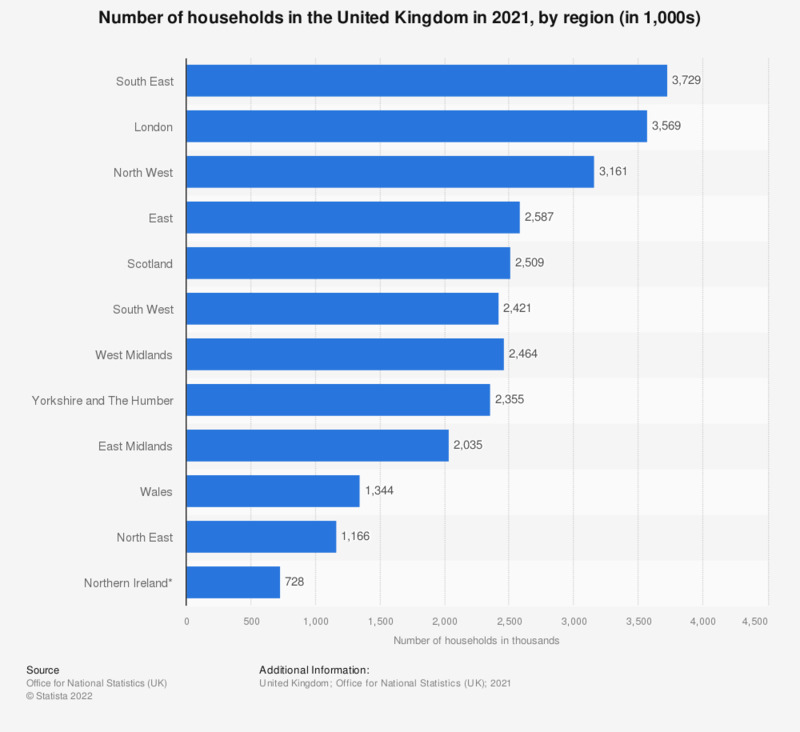 The most households were found in the South East. Everything On "Demographics of the UK Part II" in One Document: Edited and Divided into Handy Chapters. Including Detailed References.